Yesterday I was up in London with Dan & Tamara checking out the venues for their wedding in October. These guys love the Beatles and really wanted to get married at Marylebone Registry office after seeing images from Paul McCartney's wedding there! They do have quite a few guests going so we may be able to recreate the Paparazzi shots when they come out on the big day! however we took the opportunity of it being quiet to shoot some more romantic images. A quiet moment, a couple very much in love and then time for some fun! On the engagement shoot pre the big day its a great opportunity for my clients to get used to having their photograph taken by me so that on the day itself they are relaxed for the photographs. My style is relaxed and all about capturing their enjoyment and those special moments. I always include some shots for the bride on her own so that she can be confident I will be capturing her at her best. Tamara and Dan met at a party in Buenos Aires, Argentina, eight years ago and after meeting he taught her English. Both are Jewish however Dan is originally from Ilford,Essex so this is a couple with lots of traditions and customs to bring together for the wedding. Listening to their plans its evident they have put alot of thought into it and want to ensure that all their guests have a great time. 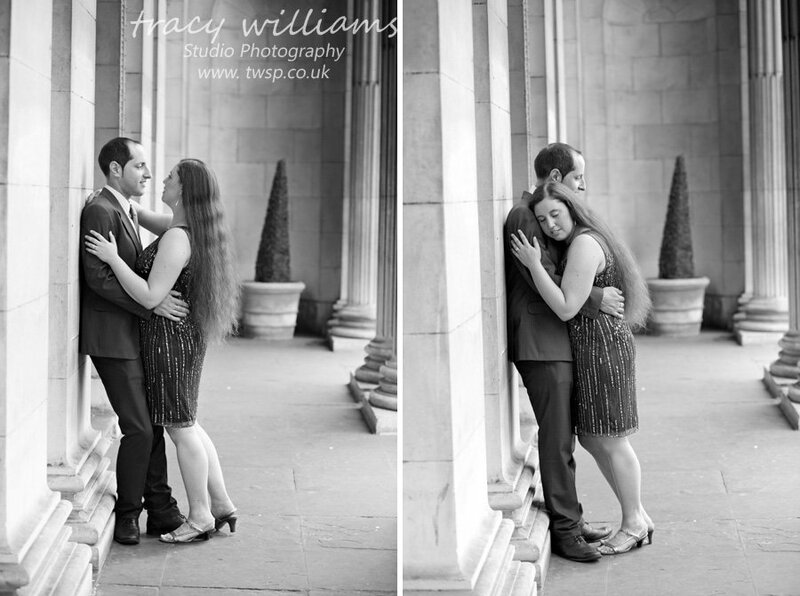 They enjoy living in London and want their wedding images to be in their favourite places so after the registry office we headed off to Regents park to find some suitable photography opportunities. So many possibilities - these are a few however it would be hard to find anywhere in Regents park that would not make a great backdrop. 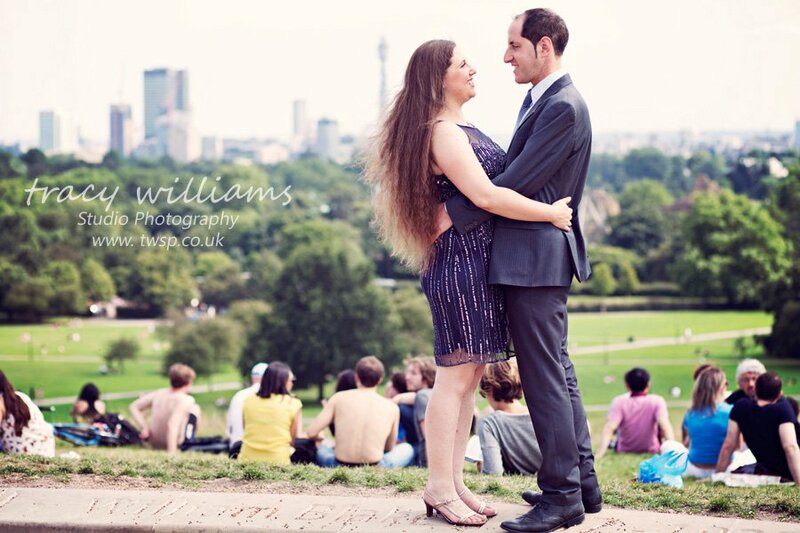 Our final photo was shot at the top of Primrose Hill!! Stunning location even with all the sun seekers! and one we will definately be going along to on their wedding day as is it somewhere they love visiting. Holidaymaker - How cute! Love these inner city photos of the couple, the flow of the photography even reminds me of the swinging sixties, which I guess is what they would want if they're Beatles fans! Dan - Tracy you are amazing! These are truly beautiful shots of us and you managed to not just bring our photos to life but somehow also capture those intimate off-the-cuff moments that we weren't even posing for! Can't wait to have you there in October at the real thing, thanks so much.